If you're looking for a lodging alternative that offers the onsite amenities of a luxury hotel and the scenic vistas of a secluded cabin or chalet, consider booking a Smoky Mountain condo on your next trip to East Tennessee. Whether you're heading to the mountains of Gatlinburg or the foothills of Pigeon Forge and Sevierville, the Smokies have plenty of options when it comes to condominiums. You'll find a high concentration of properties located in the Ski Mountain area of Gatlinburg, which is a popular choice for visitors planning to explore the national park or take a skiing trip at nearby Ober Gatlinburg resort. But you can also find condo rentals in the heart of Pigeon Forge, which makes a great home base for families planning a visit to Dollywood or a shopping trip or a tour of all the great attractions in town. In Sevierville, you'll find condo rentals that provide easy access to shops, attractions and restaurants as well as the outdoor recreational opportunities available at nearby Douglas Lake. Like other types of overnight rentals, condos usually offer multiple bedrooms, full kitchens and access to laundry facilities, but they also can feature resort-style amenities like onsite swimming pools, game rooms and fitness rooms. 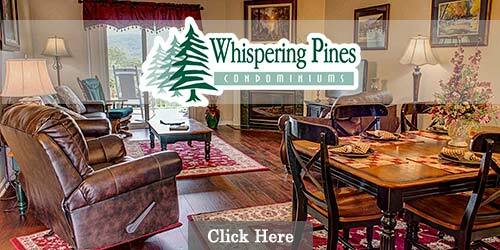 Luxury condominiums in the Smoky Mountains located in the center of Sevierville and Pigeon Forge. Studios and condos with queen or king beds are paired with unsurpassed amenities including an on-site water park. Full kitchens, Jacuzzis, saunas, a lazy river and a host of other outstanding features are sure to impress. One of the newest condos for rent in the Smoky Mountains, offers luxurious accommodations in a family-friendly setting. Some amenities include stainless steel kitchen, sizable balconies, premium bedding, Jacuzzi tubs, granite vanities, washer/dryer, flat-screen TVs, large pool, waterslide, exercise room and more. An ideal place to stay while visiting Pigeon Forge. Pamper yourself at the Day Spa with the latest massage therapy, skin care along with hand and foot treatments or relax in the Sauna and Whirlpool. Stay healthy with our state of the art fitness center and our indoor/outdoor pool. Lazy river pool, billiards and air hockey tables, and playground. 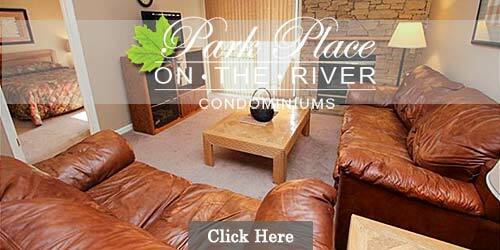 On the river, Park Place condominiums in the Smoky Mountains offer nightly and weekly rentals. Although secluded by nature, the condos are located in downtown Gatlinburg, TN. Mountain-stone fireplaces, outdoor hot tubs, Jacuzzis, free Internet and large living areas make these condos a rare find. With 2 & 3 bedroom units available. Located in downtown Pigeon Forge, choose our Smoky Mountain condos for your family vacation. Our 1, 2, 3, and 4 bedroom condos are fully furnished including a gas log fireplace, private balcony, complete kitchen, king size beds, washer/dryer and much more! Enjoy our fabulous outdoor heated pool, hot tub and lazy river! 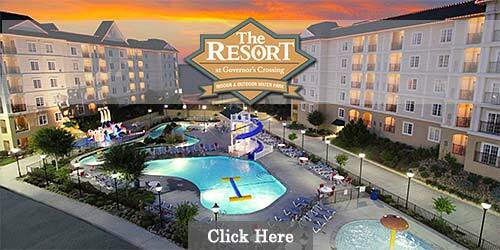 Located in downtown Pigeon Forge are luxurious accommodations near Gatlinburg, TN. Our 2 and 3 bedroom condos are fully furnished and beautifully decorated. Private balconies have Smoky Mountain, Pigeon Forge and the Little Pigeon River views. Amenities include a full kitchen, gas log fireplace, king size beds, washer/dryer & more! Gatlinburg offers several rental choices for your next smoky mountain vacation. Visit the Gatlinburg condos above and book your vacation online. Gatlinburg is nestled at the entrance to the Great Smoky Mountains National Park in Tennessee. Bring the family and stay in a Gatlinburg condo. Pigeon Forge condos are a great way to stay and enjoy the breath taking beauty of the Smoky Mountains. For luxury at it's best, from the in room fire places to the heated indoor pools. 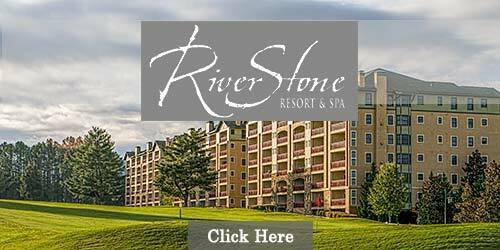 Stay in one of the condos that Pigeon Forge has to offer. 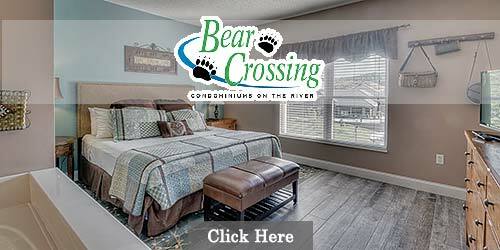 Choose from Cedar Lodge, Bear Run Falls, The Resort, Park Place, or Bear Crossing Condos. Most of the condos offer privacy and convenience, close to attractions, entertainment, and shopping. Let's not forget about shopping at one of the many outlet malls Pigeon Forge has to offer. Such as Tanger Outlet, Shops of Pigeon Forge, and the Pigeon Forge Factory Outlet Mall, these malls have something for everyone. If an action packed vacation is not on your list. Rest and relax, in a condo in Pigeon Forge, TN, that's secluded with the serenity, and beautiful views of the Smoky Mountains. 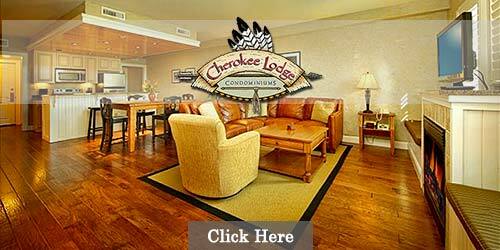 Experience the Great Smoky Mountains, at a luxurious Pigeon Forge condo for a romantic get away, or a family vacation. Condo rentals in Sevierville are perfect for those who want more space than hotels offer. Sevierville condominiums are a wonderful option for families and large groups planning events or longer stays in the Smokies. There's no need to click all over the internet. The Smoky Mountain Vacation Info guide offers a complete list of Sevierville condo rentals available above.